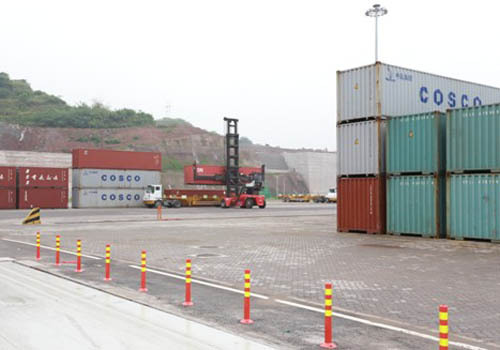 Chongqing Guoyuan container terminal is a water, railway and road combined transport hub port. The Yangtze River and Silk Road economic belts have brought huge opportunities for Liangjiang New Area (LNA) to establish an inland international logistics hub. In order to reduce pressure on Cuntan Port, a major strategic deployment to separate empty containers to Guoyuan Port was launched. 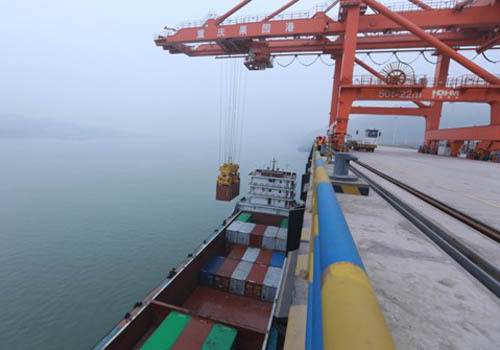 Recently, a ship loaded with empty containers berthed slowly into the Chongqing Guoyuan container terminal, which is a water, railway and road combined transport hub port. The activity marks the launch of Guoyuan Port in container logistics operation on a larger scale after its opening in December 2013. The Yangtze River and Silk Road economic belts have brought huge opportunities for Liangjiang New Area (LNA) to establish an inland international logistics hub. As a port where the two belts join together, the interactive development between Guoyuan Port and Cuntan Port invites attention. In order to reduce pressure on Cuntan Port, a major strategic deployment to separate empty containers to Guoyuan Port was launched. Guoyuan Port would gradually become an important hub port. 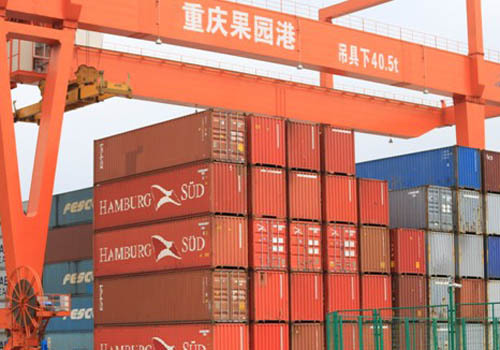 To ensure the smooth operation of the container, Guoyuan Port overcame many difficulties in the early stage, like insufficient staff and unfinished sites. The separation was secured through five aspects. First, each link and step divided work in an orderly fashion in the production organization. Second, the newly-developed container system withstood tests. Third, staff arrangement could meet the needs of production and operation. Fourth, the port made full use of the yard space and promoted efficiency. Last, the port dispatched all things elaborately and made many plans in case of emergencies. According to Port Logistics Group Guoyuan Container Company, the company and customers have all expressed their satisfaction with the container operation. 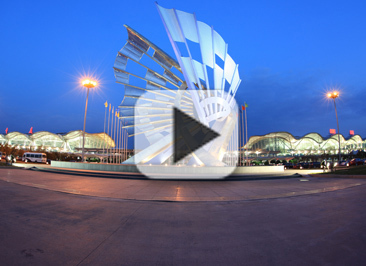 Guoyuan Port officially opened in 2014. The port has a shoreline of 2,800 meters and was designed with 16 berths to handle 5,000 tons. Currently, those 16 berths have all been established. The port is accelerating the construction of a railway entering the port and warehouse.